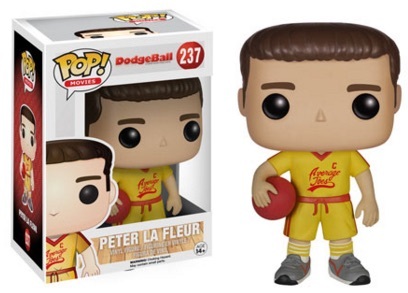 Offering figures for the two main characters in DodgeBall, the 2015 Funko Pop Dodgeball vinyl figures take a look back at the 2004 comedy film. The set includes Pop! options for Peter La Fleur and White Goodman. DodgeBall tells the unlikely tale of an upstart gym, Average Joe's, that resorts to the gentleman's sport of dodgeball in an attempt to save their beloved gymnasium from foreclosure. This inevitably pits them against neighboring super gym, Globo-Gym. 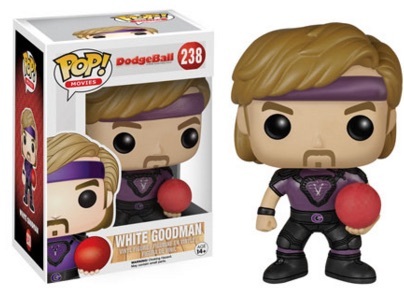 The small set includes Vince Vaughn as Peter La Fleur, the owner of Average Joe's and dodgeball team captain, and Ben Stiller as White Goodman, the owner and captain of Globo-Gym. Both figures come with a red dodgeball. The release is numbered as part of the Pop! Movies line and the figures stand approximately 3 3/4" tall. Although other main characters, like Christine Taylor as Kate Veatch or Justin Long as Justin Redman, are left out, Funko also produced figures for La Fleur and Goodman in their larger Vinyl Idolz line. These figures include much more detail.